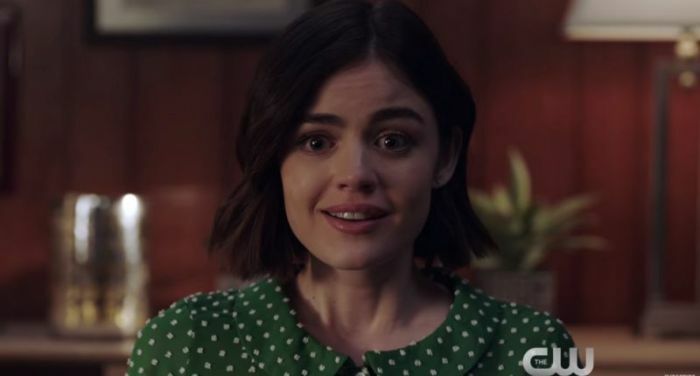 After "Pretty Little Liars" bowed out of television last June, one of its lead stars, Lucy Hale, is moving on with a new comedy series on The CW. "Life Sentence" is set to air during the midseason in early 2018 and production has been rounding up its cast members. Reports confirm that "Resurrection" actress Nadej Bailey will join Hale in "Life Sentence." She will play Sadie, who, like Hale's character, Stella, is also a young cancer patient. The show has, so far, also cast actors like Elliot Knight (Wes), Brooke Lyons (Elizabeth), Jason Blair (Aiden), Carlos PenaVega (Darrius), Alyshia Ochse (Marlene) and Dylan Walsh (Paul). Production will move in full swing this coming fall. "Life Sentence" will follow Stella's life adventures following her terminal cancer diagnosis. But in a twist of fate, doctors tell her she has been cured. Having lived with cancer for eight years, Stella makes a promise to herself that she will enjoy her new lease on life like it would be her last. She also learns that the people she loves have been trying to keep secrets from her for years because of her fragile condition. The CW released the show's first teaser in May. The CW ordered "Life Sentence" in January. It comes from the production company of "Scrubs" creator Bill Lawrence. Erin Cardillo and Richard Keith have been tasked as lead writers and executive producers. Meanwhile, rumors have swirled that Hale might have a guest appearance on another show on The CW. The buzz started when the actress posted a comment on Madelaine Petsch's Instagram. Petsch plays Cheryl Blossom on "Riverdale" and when she posted a photo from the set, Hale supposedly wrote that she wanted to superimpose herself in the image. Petsch told her, "We shall recreate when you're here." Fans quickly assumed this was a hint that Hale would be coming to "Riverdale."